A high quality synthetic cork from one of the very first companies to produce synthetics all the way back in the 1980s. Supercorks have been tested and certified to retain their elasticity and seal for up to 4 years, so they make for an excellent alternative to low & medium grade natural or agglomerated corks but without any risk of TCA. 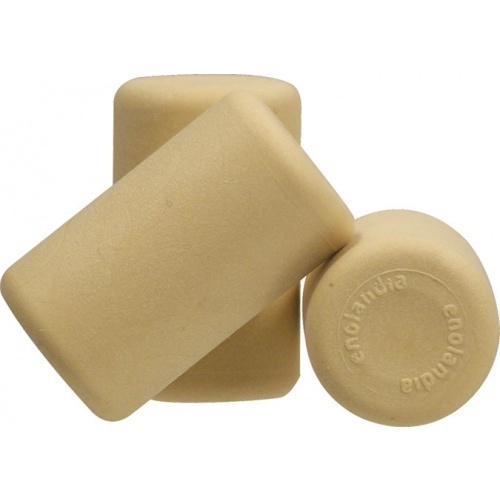 We recommend using a floor corker to more easily insert the cork into the bottle. Depending on the diameter of the bottle mouth, these corks require 48 to 55 lbs of force to be removed. They can be very difficult to remove with a standard twist and pull corkscrew, and therefore we recommend removing the cork with a wine key or levered corkscrew to provide additional leverage.